Overlooking Roslyn, New York and Hempstead Harbor. Estate lands given as a wedding present in 1898. 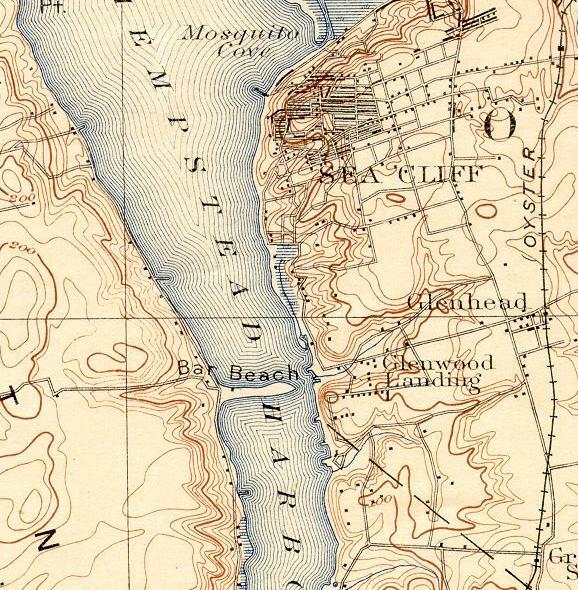 Harbor Hill, the highest point in Nassau County, depicted below with a triangular Bench Mark of 391' (see lower right map quadrant). This map was printed in 1918 by the US Geodetic Survey but uses survey data from 1897. 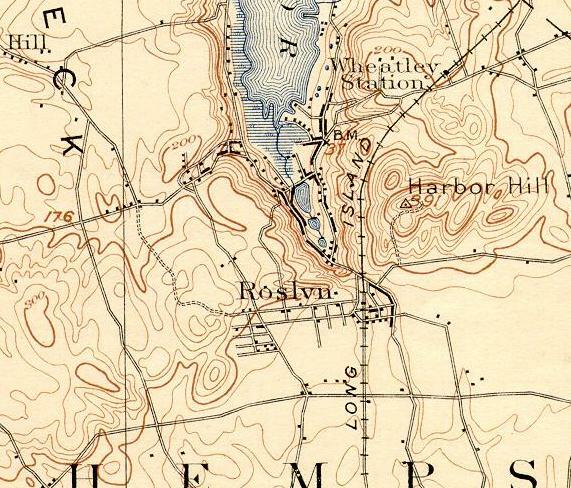 Readers who are familiar with this area today, may be amazed to see how few roads and buildings there were in Roslyn a mere 110 years ago. By way of orientation, Mineola is off this map to the south.